For nearly 15 years, The Female Persuasion follows Greer Kadetsky as she learns to use her “outdoor voice” with the help of a powerful mentor and her own convictions. Favorite author in Meg Wolitzer. The story of a mentor/mentee relationship was appealing to me. A very relevant novel with today’s feminist movement. 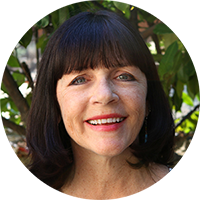 A Timely Topic – How lucky was Meg Wolitzer that the #MeToo movement and other women’s issues moved so firmly to the forefront of our world these last six months. Could she have asked for a better lead-up to a book featuring characters in the center of the feminist movement? It may have involved some luck on Wolitzer’s part, but I can’t help believing that she had to see some of this coming. It’s time. The Female Persuasion does a beautiful job of framing the history of the women’s movement, while at the same time moving it forward in a world rife with instant access, blogs, and social media. The historical review Wolitzer slipped into her novel leant context to all that is happening today. 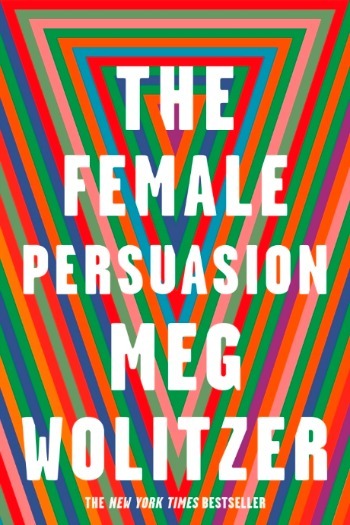 The Telling – I appreciated the way Meg Wolitzer chose to structure The Female Persuasion. In addition to the two central characters, Greer and Faith, she used Greer’s boyfriend, Cory and her college best friend, Zee, to fully flesh out the story. Almost all chapters were told from the perspective of one of these four. As expected, those revolving around Faith were powerful and those around Greer propelled the story, but those centered on Zee and Cory were surprisingly touching. In many ways their chapters felt like the heart, the emotional side of this book. Cory – Some might disagree with me here, but I loved the character of Cory for so many reasons. First, even as a teenager, he so clearly saw the world around him. When Greer’s parents diminished her worth, he was incensed for her. He struggled with high ideals versus paths more easily taken. And when tragedy struck his reaction was far from what might be expected of a man in his early 20’s. In some ways Cory’s part of this story speaks the loudest for feminist ideals. An Ending That Went Too Far – The last chapter of The Female Persuasion wasn’t called an epilogue, but it felt very much like one. Like most epilogues, I didn’t think it was necessary. Almost everything that the reader learned in that last chapter had already been hinted out earlier in the book. I’d have been perfectly happy had the last chapter been completely eliminated and I was left to fill in any small gaps myself. The Interestings by Meg Wolitzer – If you’ve never read Wolitzer, I recommend starting with this wonderful story of six lifelong friends who meet at an arts camp as young teens. I loved Cory too! He was the grounding force for Greer. I definitely think she did. Let’s talk about that sometime. Great review that makes me even more excited to read this! I love the quote. I’m fascinated by the mentor/mentee relationship, and I’m starting to think about it more as I get older. I’ve had some wonderful mentors, and as I look back I realize now that it’s such a kindness to give yourself as a mentor–and really such a sacrifice. Because who has the time? It’s an amazing gift. That’s so true and in The Female Persuasion you get to see that relationship from all sides as it runs its course. Hmmm I have to be honest that I wasn’t very interested in this one to start with – I may be reaching saturation on this topic for the moment. But your review might have reignited some interest in me for it after all. I really liked it, but haven’t read much similar in quite a while. Ms. Wolitzer’s novels are hit-or-miss with me, but I am definitely excited about reading this one. I agree with the timeliness. I wonder if the publishers fast-tracked it to capitalize on the momentum of the #metoo movement as much as possible? I’m not sure. I’ve had this on my TBR list since late last summer. I’ve been wanting to read this one. Glad to hear you liked it!